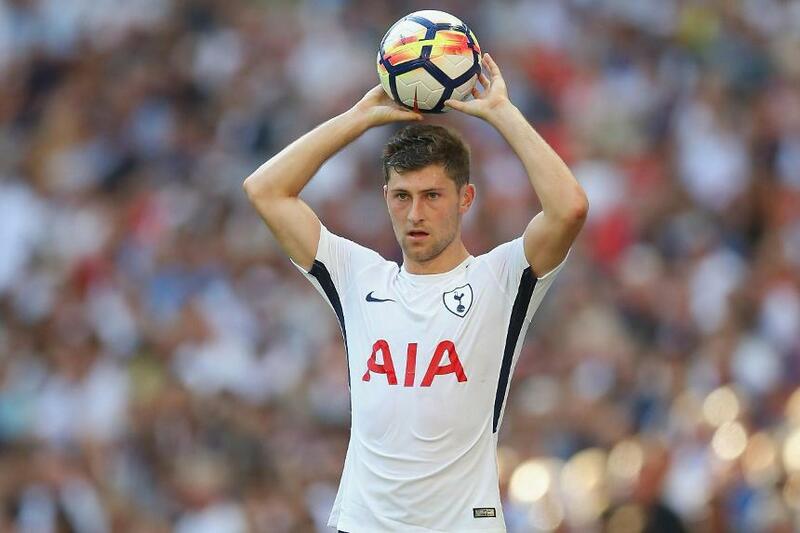 Ben Davies (£5.7m) is now the top-scoring player and officially the hottest property in Fantasy Premier League. His brace of assists in Tottenham Hotspur's 3-0 win at Everton took him to 32 points and also helped seal a place at the top of the Bonus Points System (BPS) on 126. Davies was edged out by team-mate Harry Kane (£12.4m) for the maximum three bonus points. But another four key passes underlined his appeal. Only two players - Mesut Ozil (£9.5m) and Henrikh Mkhitaryan (£8.3m) - have created more chances than the Welshman (both 15). Davies has also won more tackles (seven) and had more shots (six) than any Spurs defender. Over 123,000 have swooped for Davies ahead of Gameweek 5, making him the top transfer target. Kiko Femenia (£4.5m) sits second to Davies in the defender standings, having gained a third successive clean sheet and two-point bonus return. The Spaniard is one to watch in the Watford backline. Femenia has completed more passes and dribbles than any other member of Marco Silva’s rearguard, while also making the most recoveries (16). Those are all factors in his favour when it comes to the award of bonus points. The right-back has been signed by over 30,000 managers since Saturday. However, he is an early doubt for the Gameweek 5 clash with Manchester City having sustained an injury at St Mary's Stadium. Managers who kept faith with Kevin De Bruyne (£9.9m) were unfortunate to miss out on bonus points in Gameweek 4. The Belgian was the most sold player - losing 307,000+ owners - prior to his two assists and nine points in Manchester City's 5-0 win over Liverpool. De Bruyne totalled 38 in the BPS - he supplied three key passes, two of which lead to big chances to score. But team-mate Benjamin Mendy (£6.5m) pipped him with a tally of 40, having claimed a clean sheet, an assist, a big chance created and two tackles. Sergio Aguero (£11.4m) also missed out, despite his goal and assist, with a score of 38. The Argentinian was penalised in the BPS after being tackled on six occasions.